Oma always likes to have a new toy on hand when the grandbabies come over for a visit. I love this toy’s bright colors. 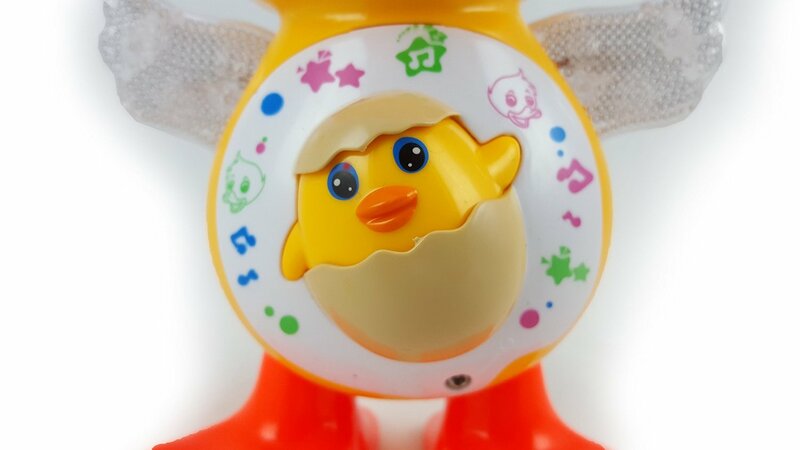 Its movement and music keep toddlers entertained for quite a while. While the box states that the toy is not for children under three, with supervision, it is great with younger kids also. You will need a screwdriver to install the three AA batteries (not included) – a negative in my book. However, Oma understands the necessity to make changing the batteries more difficult, in order to make the toy safer for young hands. Another negative is that there is no volume control and the toy is quite loud. 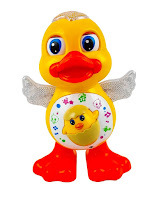 Nevertheless, this dancing, hand and body rocking, duck really does stimulate and engage my grandsons – cute toy. Colorful Flashing Lights and Music Go Along with the Dance Moves!